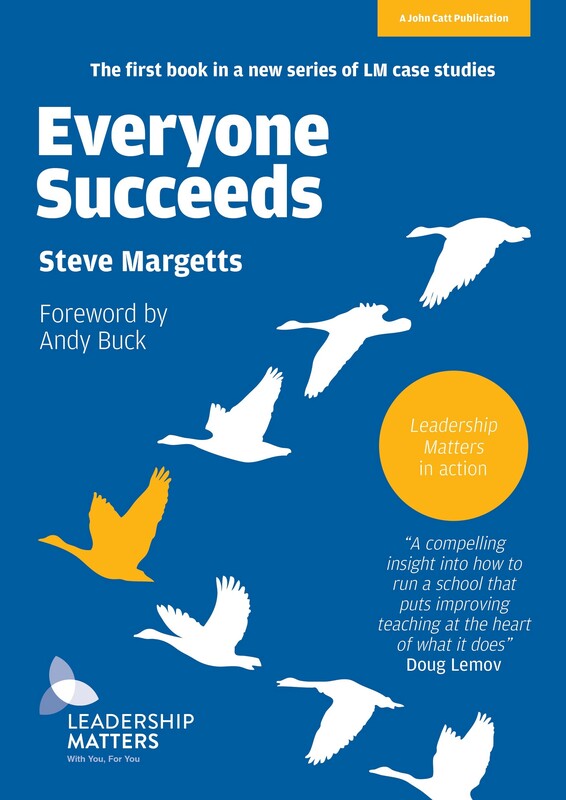 Everyone Succeeds is the story of Torquay Academy, where head Steve Margetts has employed the Leadership Matters principles to turn round a failing school into one of the most improved in SW England in just three years. Everyone Succeeds is an authentic and inspiring account of how great leadership at all levels in a school really does matter. In this tour-de-force, Steve has brought to life many of the principles that underpin the original Leadership Matters book. In his characteristically self-deprecating way, he sets out a compelling narrative for school improvement in which he generously shares the secrets of Torquay Academy's success. Seriously rooted in the work of the likes of Doug Lemov, Paul Bambrick-Santoyo, and Simon Sinek, this book is a thoughtful and reflective account of how he and his team have taken these seminal influences and translated them into sustained and embedded practice in their school. Crucially, however, the senior team's approach has been to take these powerful ideas and then intelligently adapt them to suit their context. To paraphrase Dylan Wiliam: everything will work somewhere; nothing works everywhere; the critical question is what will work here? In offering up their own journey, the school is not suggesting it has the definitive blueprint for school improvement. Instead, it has sought to share what has worked for them. It leaves the reader to do exactly what they did intelligently filter the possibilities and then apply them with rigour and care. Steve joined Torquay Academy in 2014. It is a mixed 11 - 18 school based in a coastal town; it opened its 6th Form in 2013. Within its small local authority there are three grammar schools, one with a grammar stream, one faith school and three community schools. Its catchment area varies greatly in its demographics and includes wards that are among the most deprived in England. 40% of its pupils are classified as disadvantaged and 92% are White-British. Five GCSE passes including Maths and English stood at 28% in 2014, this figure had increased to 74% by 2017. It is now heavily over-subscribed.